For one day each year, it's considered all in good fun to dress up like ghosts, skeletons, angels, or zombies. So most people would probably agree that if there's an appropriate time to bring a little levity to the constant struggle between life and death, it's Halloween. If you don't believe us, try wearing the same costume at Easter! Another fine way to show that you've been doing some thinking about this thing called life is through clever seasonal décor. 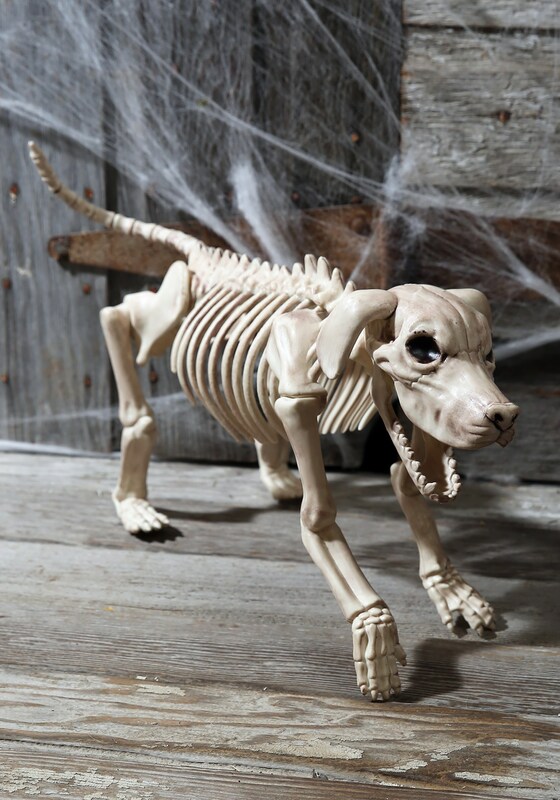 That makes this detailed 20" Beagle Bonez prop just the thing for your front yard! Because even after his demise, the plastic pup's pose retains some of his former enthusiasm, while his bony visage will make you feel like waxing poetic. Alas! Poor Beagle Bonez. I knew him, Horatio: a player of infinite fetch. It just goes to show what a wild, unpredictable journey we living creatures all undertake together. These bonez really put things in perspective!